I hope the Official Yao Ming Opus will be made available at an affordable price point, cos some of those works from Opus Media are extremely bulky and expensive: the Official Ferrari Opus (852 pages and weigh 37 KG) is priced at 4,100 British Pounds, while the Official Manchester United F.C. Opus (850 pages and weigh 37 KG) is priced at 3,000 British Pound. 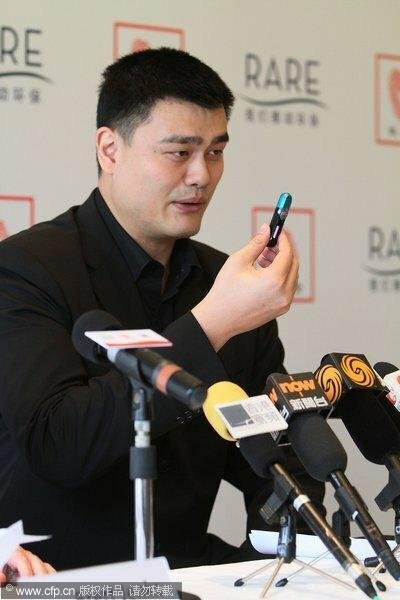 [b]Opus Media Group, Time Publishing and Media Company, China and basketball legend Yao Ming, today signed a joint agreement to create and publish The Official Yao Ming Opus. Actually, the project started when Opus Media came to Shanghai back in February to present to Yao Ming the concept of doing an Opus book with lots of photography capturing the highlights/history of his illustrious basketball career. Opus Media also gifted Yao Ming the Official Manchester United F. C. Opus and The Official Michael Jackson Opus on that trip. Yao Ming was impressed and so yesterday, he officially signed the agreement with Opus Media Group and Time Publishing and Media, China (of Anhui) for the go-ahead of the project in Shanghai. I thought this would be it. Was that the Chongqing style hotpot or the Chengdu style? More details about the Official Yao Ming Opus from China Daily !!! Having his own wine brand, a charity and a basketball club appears to be not enough for former NBA star Yao Ming. The busy giant of Chinese basketball has decided to branch out into the world of publishing, and signed an agreement on Wednesday in Shanghai with two leading publishing companies (from China and the United Kingdom) on a book about, what else? Himself. 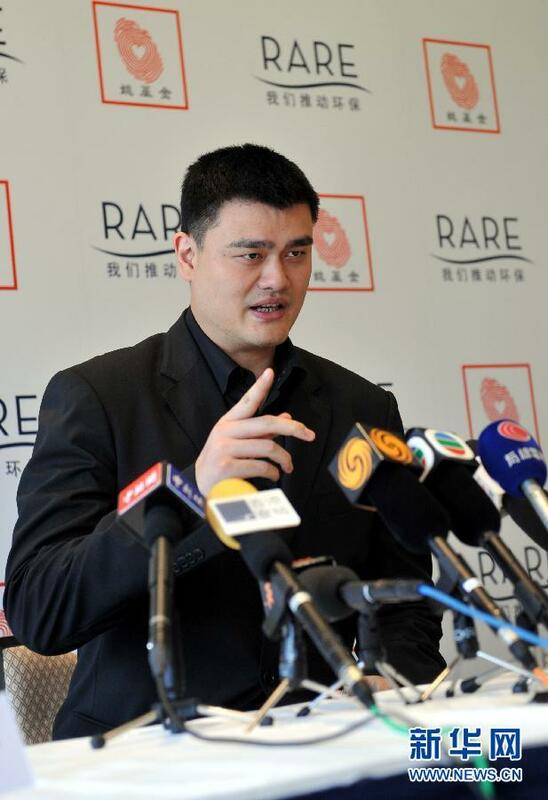 The book, Yao Ming Opus, will be jointly published by Time Publishing and Media Co Ltd, a listed publishing company based in Anhui province, and Opus Media Group UK, which is renowned for its coffee-table books that feature sports stars and celebrities. The book will boast a large range of photos taken during Yao's teenage years, his professional career and life after basketball, with both English and Chinese text. The photos were provided by Yao or purchased from news agencies, and also include new pictures taken by the photographers of the two companies. The editorial aspect will be completed by a team of five writers. The book, which is expected to weigh 16 kg, is scheduled to be published next year. Opus' publications include subjects such as the Manchester United Football Club, Major League Baseball and the Ferrari Formula One team. The book about Yao will be its first publication in China. 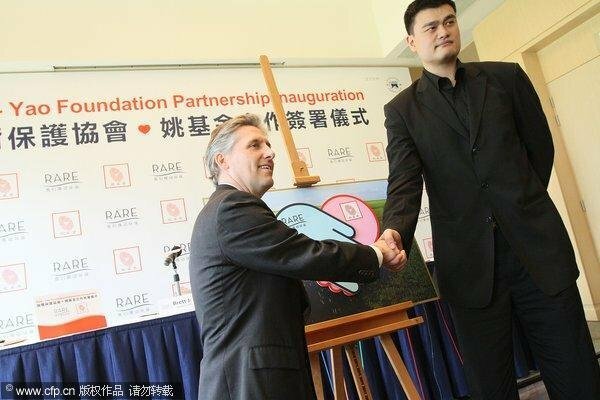 Opus' CEO, Karl Fowler, said the two companies decided to feature Yao in the book after only two minutes of discussion. "We could not think of a more sincere, unique and exciting story to tell, using great photographs and great writing to reveal his story not just in China, but internationally," he said. Yao said that when he first saw an Opus publication he thought it was like a comic book. But as he turned the pages he realized the book was something people should take seriously. "Although we live in a digital age, a photo can capture and keep every precious moment forever and will not fade as time goes by," he said. Yao signed a signature page that will be placed in copy No 1 of Yao Ming Opus. Opus will auction that copy next year and donate the proceeds to the Yao Foundation. 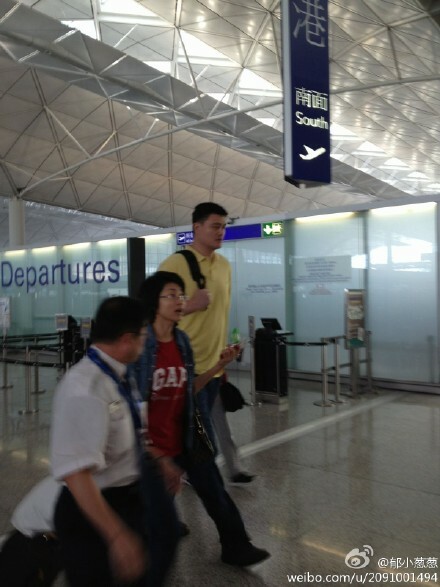 Yao has arrived in Hong Kong. pryuen, please go and meet with Yao Ming and take some pictures for us. pryuen please report on Yao's activities in Hong Kong. 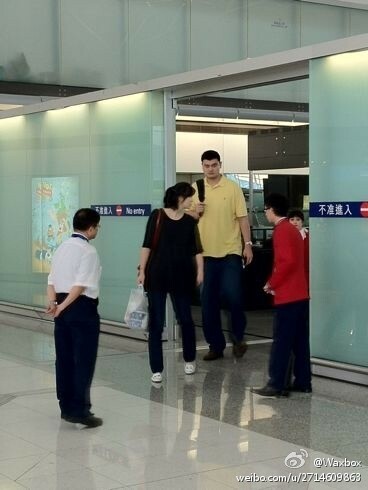 Yao Ming is currently in Hong Kong. He was seen here this afternoon attending a partnership signing/inauguration ceremony between Yao Foundation and RARE Conservation, a Top 100 NGOs in the world renowned for their work in designing and campaigning local community-based solutions to global conservation and environmental protection challenges. 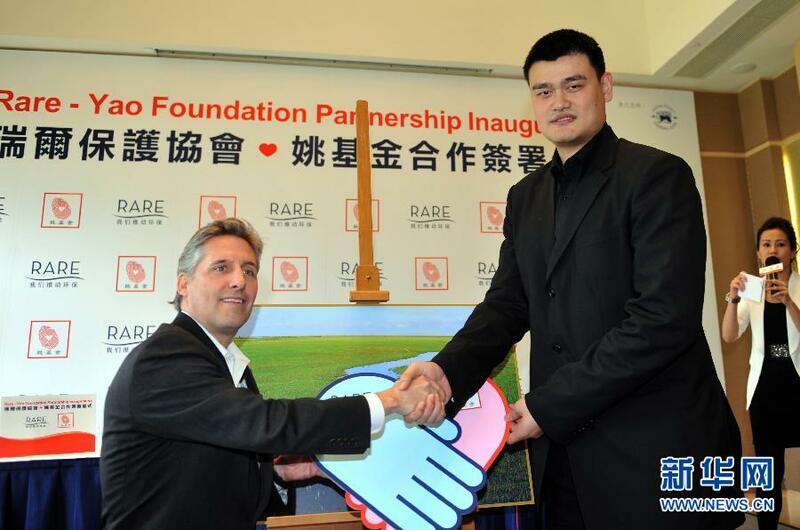 Through this partnership, RARE and Yao Foundation will combine their strengths and advantages in community education, marketing, training and sports, and work together to strive to train in various parts of China "future environmental protection leaders". Actvities will include involving children in meaningful outdoor wildlife activities, encoruage people/children to visit and support China's 2000 nature reserves; to protect endangered wildlife and to reduce the consumption of illegal wildlife products; reduce water and air pollution and so on. Yao Ming then urged his compatriots back in China Mainland to start making little changes to their life and cultivate good habits to cherish and protect environment as well as preserve and conserve natural habitats for endangered species. 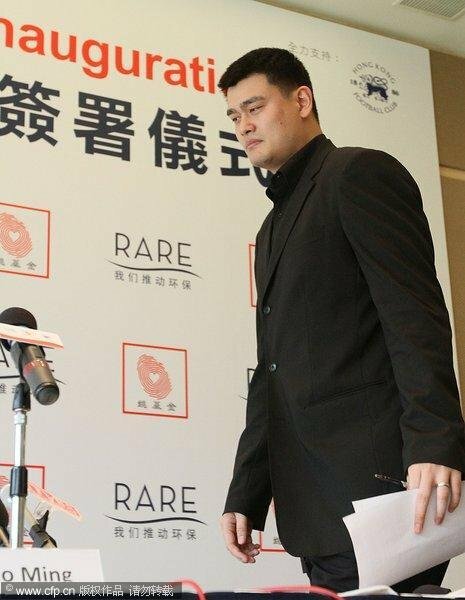 Yao Ming also specifically mentioned that he picked May 12 as the start of the partnership to commemorate all those that died 4 years ago in the 2008 Wenchuan Earthquake in Sichuan. 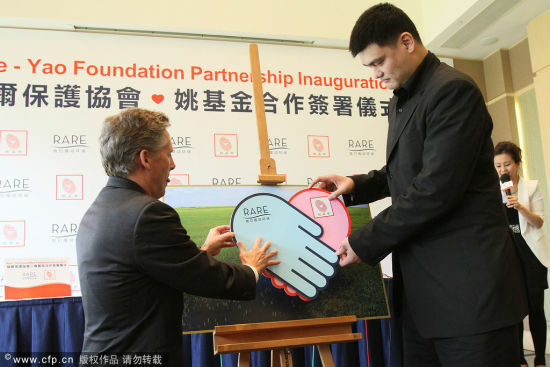 Photos of Yao Ming and Brett Jenks, the President and CEO of RARE Conservation at the partnership inauguration ceremony. A few photos of Yao Ming at Hong Kong Chek Lap Kok International Airport this morning (May 13). It seemed like his wife Ye Li was also accompanying him on this trip.